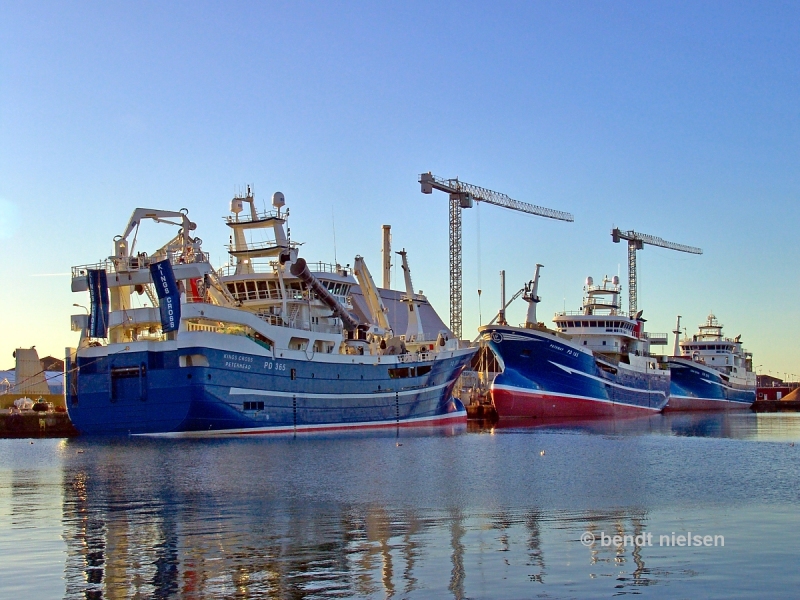 Three new buildings from Karstensens Shipyard Ltd/Skagen/Denmark. GRATEFUL FR249 IMO: 9794953 yard no. 435 delivery July 2017. All three are seen here in Skagen harbor. Hi Denis yes they have some really nice lines these ships and they are impressive to look from the quayside. What a beautiful scene, Bendt! Thankfully designers still keeping these seiners/trawlers curved.